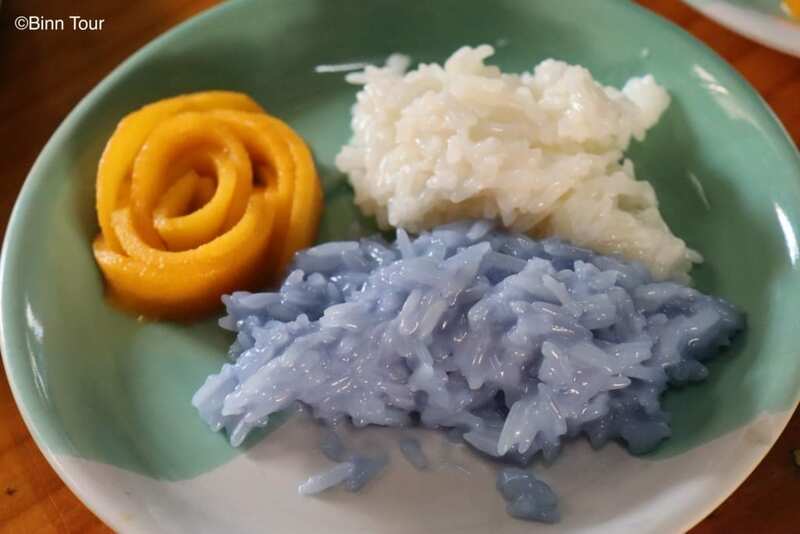 If you love Thai food, then you have almost certainly tried or heard about mango sticky rice before. Although Thai cuisine has a good variety of desserts, this is by far the most popular one. Simple and heavenly delicious, the magic mix of yellow ripe mango, sticky rice, coconut cream, sugar and a tinch of salt is adored by people all over the world. In Thai, the dessert is called khao neow mamuang. “Khao” and “neow” mean rice and sticky. 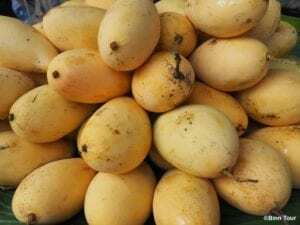 “Mamuang” thus refers to mango. While the recipe is fairly simple, there are a few things to point out. 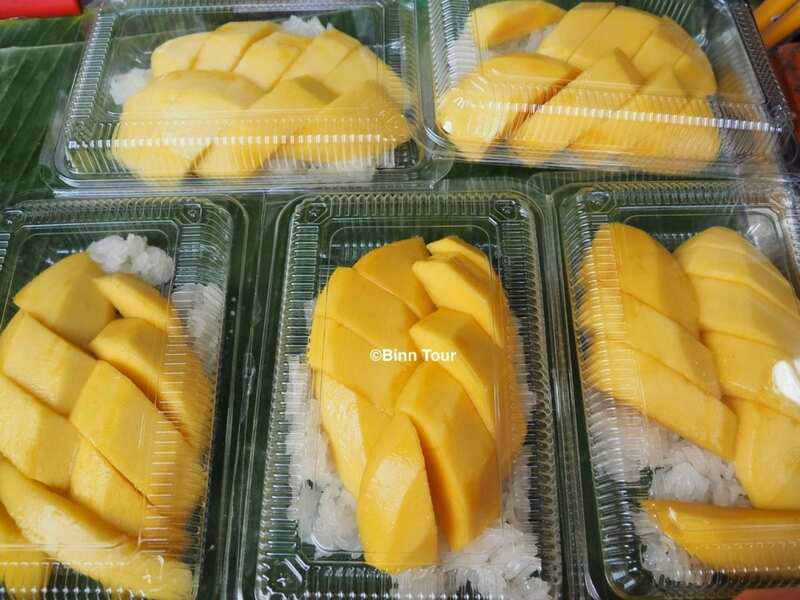 Preferably, you should use Thai mangoes if your local Asian market imports them. They are less fibrous than their green and red counterparts that are usually sold in western countries. For the rice, make sure to use glutinous rice, not regular Jasmine rice. Finally, the Thai mango sticky rice uses coconut cream (as opposed to coconut milk) which gives it the rich coconut flavor and texture. As shown above, there are ways to reinvent the famous mango sticky rice without changing its taste. 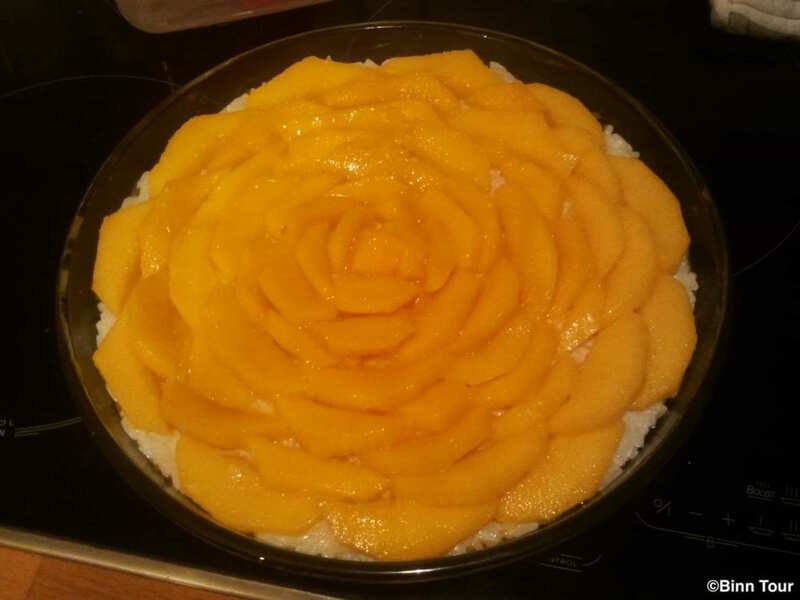 However, the mango sticky rice tart takes it to a whole new level. 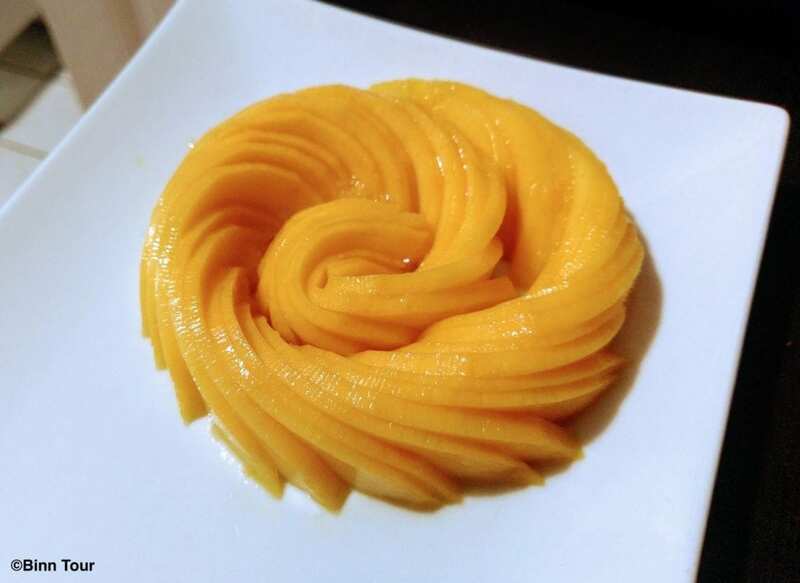 Imagine your mango sticky rice beautifully spread on a thin and crusty tart shell. I first tried this many years ago at a friend’s restaurant and immediately fell in love with it. 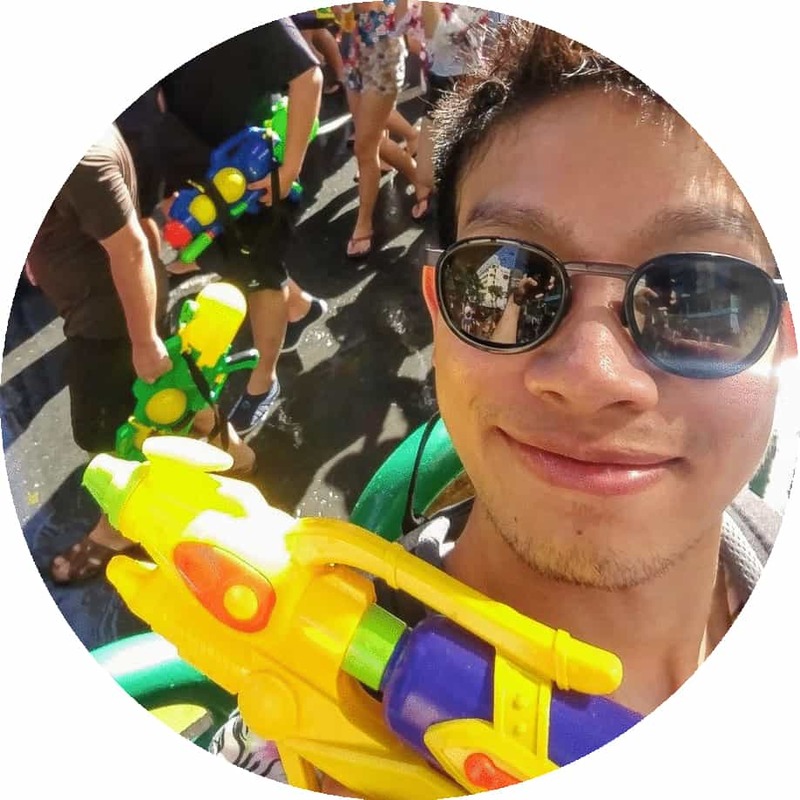 My friend Yuth has since gone on to other exciting projects, but he kindly gave me his recipe which I did not hesitate to try out. What makes this creation so special is the crust. While the overall flavor isn’t much different from the classic mango sticky rice, the tart adds a nice crunchy texture. It has to be well in proportion to the rest. In Yuth’ recipe, he basically creates a crust similar to one for a cheesecake. I came across a second recipe by Nick Malgieri that Leela from She Simmers has posted on her blog. You can find it here. It is somewhat easier than my friend’s recipe as the tart is almost foolproof. It also uses regular Jasmine rice instead of glutinous rice which involves less preparation time. I’m sure whatever type of crust you make, the result will be delicious. Again, the visual aspect plays an important role. The mango sticky rice tart is a very original way of presenting and eating this all-time favorite Thai dessert. Enjoy!